In 2-quart saucepan, heat tomato pasta sauce and meatballs over medium heat 15 minutes, stirring occasionally, until thoroughly heated. Place each bun on serving plate. Fill each with up to 6 meatballs. Sprinkle with 1/4 cup cheese. 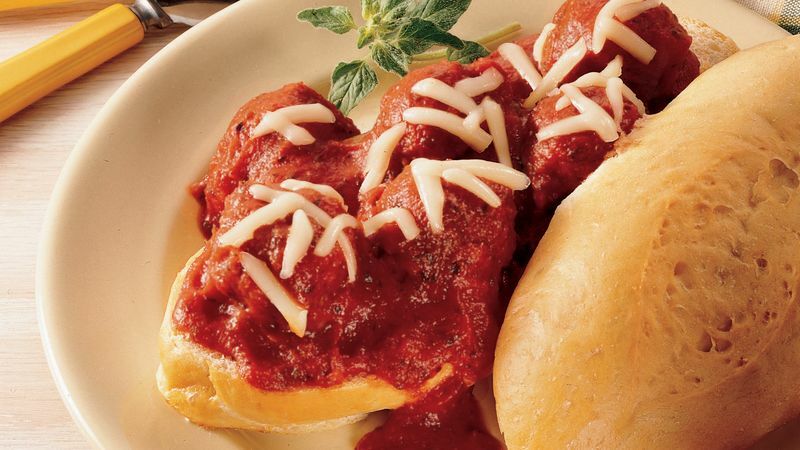 Try the Betty Crocker Easy Meatballs recipe instead of the frozen meatballs for a homemade touch.